IP owners now have more control of their content, and therefore the conversation, in ways never seen before. It’s not just with their existing owned audiences but, potentially, borrowed audiences as well. This is the topic for Nielsen’s Commercial Trends in Sport 2017 – #2 – IP owners taking control of content and the conversation. For me, the question is “How will this change and/or impact sponsorship?”. While I think the answers are obvious, the lasting impacts could be huge. Who has the ability to produce and share content? As discussed within the Nielsen paper, recent acquisitions of sports such as UFC and Formula One tells us a lot about the ability of sports to own content and the IP produced and to generate revenue from them. traditional broadcasters collaborating with any of the above. How will this change sponsorship? Whilst we have already seen rights holders and brands take advantage of content creation to engage fans, the emergence and constant growth of this space, and importantly the trend of IP owners taking control, creates huge opportunities for sponsorship. With IP owners controlling the content, the way sponsorship is sold, delivered and measured will change accordingly with more rights, opportunities and companies coming to the marketplace as a result. What does that mean for the makeup of partnerships? Depending on where you are in the world, sponsorship programs can be heavily slanted towards a specific inventory type or asset to drive revenues. If we take the UK, for example, branding on the front of shirts has, for a long time, made up the vast majority of rights holders’ sponsorship revenue and, whilst this is changing with the advent of other branding technologies, the ability for these organisations to own their content and share it directly with their huge audiences opens up a raft of opportunities. The exciting part here is that this new trend isn’t going to diminish the value of those traditional branding pieces. Rather, it could extend their reach and value whilst opening up many more categories of benefits which can be sold to create more strategic partnerships with potential sponsors across multiple different levels, regions and strategies. Further, IP owners taking control of content implies they’ll be heavily involved in producing the content and that will often mean building their in-house capability. Other sectors of the business world have, for a long time, led the way on content and see themselves as publishers and broadcasters; Red Bull is an excellent example of this trend. With IP owner commitment to content and in-house capability, this could mean lower activation costs for brands (because they won’t be left trying to create content). More importantly, however, brands will actually have a partner committed to creating content and that changes the whole dynamic, and positions for greater success, and IP owners can use that in their sales pitches. How can sponsorship professionals be ahead of the game? Having an expanded portfolio of benefits and inventory comes with many challenges but also so many exciting opportunities. At the end of the day, this emerging trend is broadening what we can sell and whom we sell it to whilst also delivering greater and more relevant value to those partners who get involved. I don’t mean be ‘ready’, I mean have systems and tools at your disposal to be able to effectively sell across your many channels which give you the right data to call upon, strategies to use and systems to manage the process from end to end to both pitch-in and deliver value to your partners. With the introduction of new asset portfolios comes opportunities to sell to partners who may vary from the traditional sponsorship objectives of brand awareness and brand positioning. Know what objectives your content and IP can help deliver and then target a broader list of opportunities which align those with the objectives of the brands you target. The opportunity to own and deliver your own content will throw up some fantastic data, insights and trends. In fact, it is the digital space where analytics and data have long been key elements. As such, it will actually be easier for you to measure. As a sponsorship professional, you NEED this to deliver value and to sell into the future. Apart from measuring the data, insights and trends, from an operational perspective, these types of sponsorship assets are flexible. Continual measurement gives you the chance to pivot things that aren’t working mid-term so that, at the end of the day, value can be achieved. Where do I think this is heading? As I discuss above, the ability and trend of IP owners taking control of content and the conversation can and most likely will have huge commercial impacts on sport in particular. The era of ever growing TV deals could be a casualty, however, the increased opportunity to engage with fans and perhaps collaborate with these broadcasters directly as a rights owner may just see this emerge in different ways. 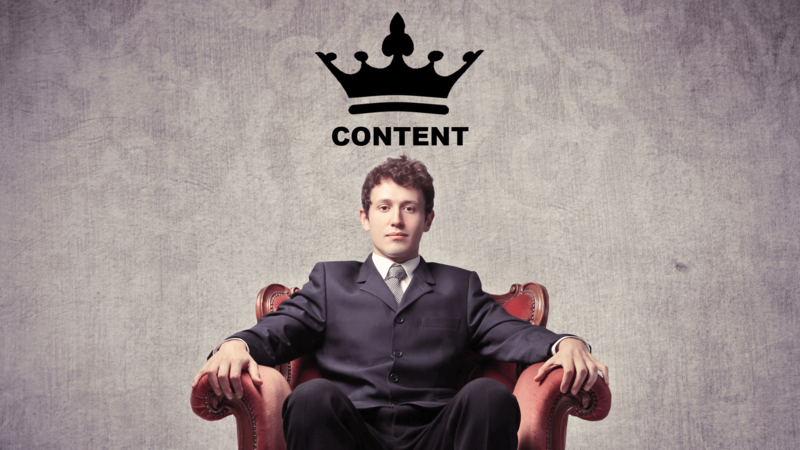 Either way, content is King and those who use it the best will be able to use it to grow engagement and own the conversation in many ways. Mark specialises in sponsorship and diversified income strategies and has used this expertise across the Community, Semi-Professional and Professional Sports sectors. He combines hands-on experience in managing the expectations and obligations of sponsors with marketing and stakeholder engagement to deliver outstanding results.